Rural and tribal transit providers face many challenges as they work to provide critical transportation services for the residents of non-urbanized communities so they can get to work, school, medical facilities, shopping, and other destinations. In addition to low population densities, dispersed origins and destinations, and other operational difficulties, rural transit providers typically function with small staffs and limited resources. 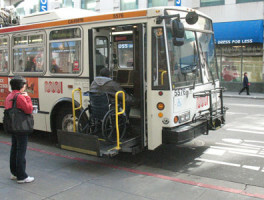 Recognizing the unique needs of transit providers in rural areas, the Federal Transit Administration has administered the Rural Transit Assistance Program (RTAP) since 1987. Principal Patti Monahan, former Executive Director of National RTAP, supervised the development and distribution of training materials, provision of technical assistance, creation of web-based applications, and research and publication of best practices. The national program also offered peer assistance for rural and tribal transit providers and state RTAP programs. Under her leadership, RTAP organized a highly successful first-time National RTAP conference in 2012, and developed innovative web-based applications and tools that make rural transit providers’ jobs easier, including the popular 2 the Point Training cards, which provide a quick refresher for drivers. Rural and tribal transit providers face many challenges as they work to provide critical transportation services for the residents of non-urbanized communities. National RTAP produced 14,700 copies of resources for customers each year. Nearly 15, 500 copies of Emergency Procedures for Rural Transit Drivers and 19,100 copies of Customer Driven Service were shipped. ProcurementPRO and other web-based tools were developed. The inaugural National RTAP conference was held in 2012. Share the post "National Rural Transit Assistance Program"